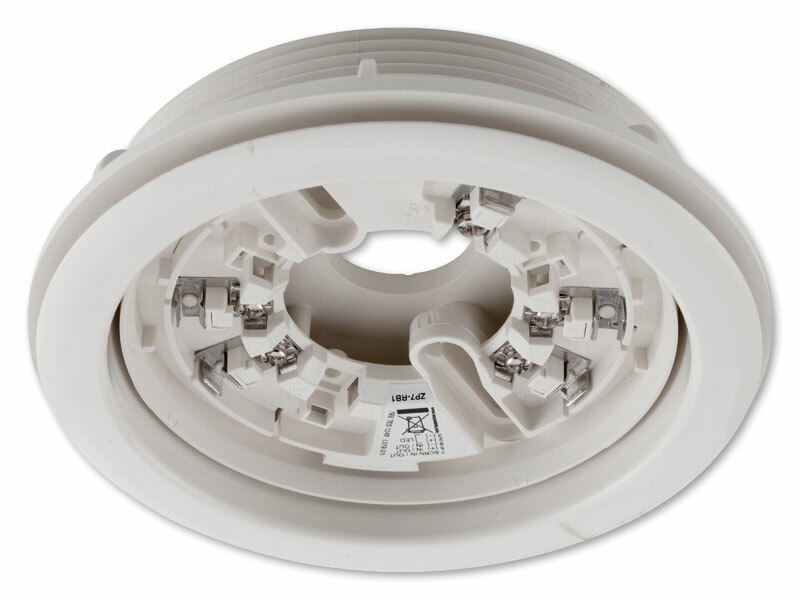 The ZP7-RB1-P detector base is a standard, POLAR WHITE, recess mounted fire detector base for ZP7 series addressable detectors. It allows these detectors to be semi- recessed into ceiling tiles when installed into buildings with suspended ceilings. The detector's low profile is further reduced without any increased difficulty in wiring termination.